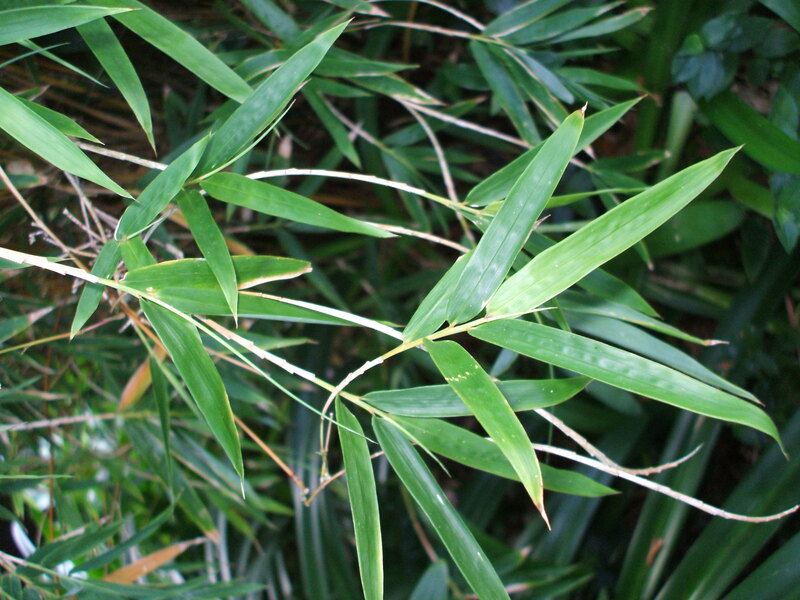 On my recent jaunt about the garden searching out the native plants to share with you in my blog I came across the stand of Bamboo that grows amongst the trees in the tall tree corner. 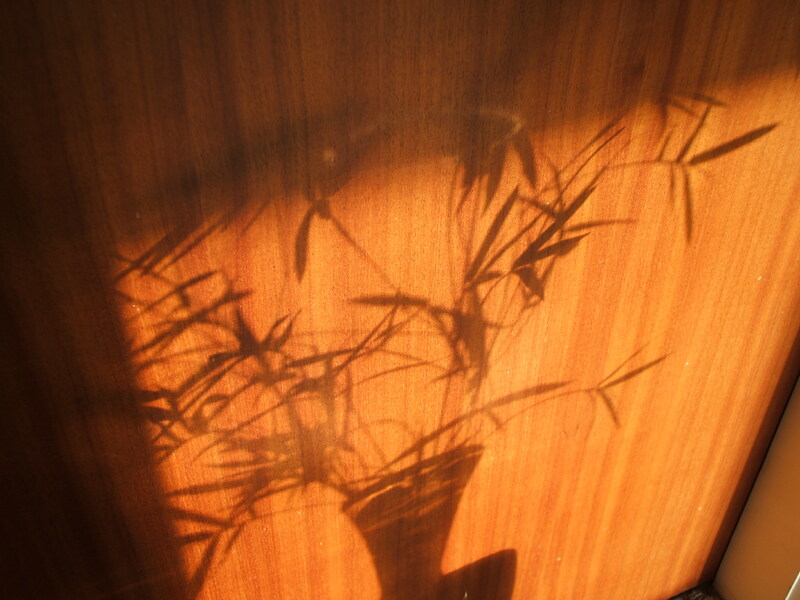 It must be a small, clumping variety of Bamboo because it has not spread in the twenty four years we have lived here. The children liked to cut lengths to play with or to make things with when they were young and I think we have used a length or two for short garden stakes. But mostly it simply grows surrounded by native trees and agapanthas. I decided to cut some branches and play with the warm light of the autumn afternoon. 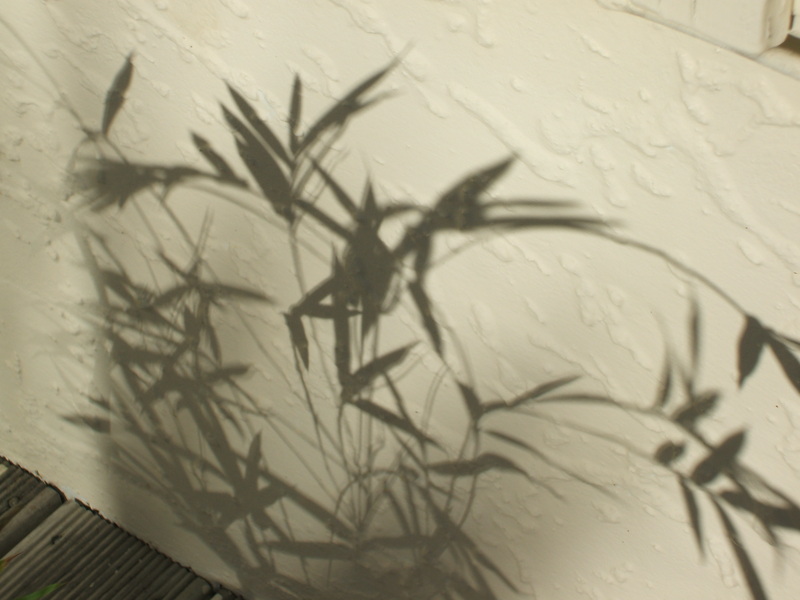 The breeze stirred the reflections in some very interesting ways outdoors. Indoors the effects were quite different but pleasing. As I played with this lovely plant, taking photos and moving about with it I considered how like fingers the leaves are, their grouping like hands, reaching out to help and support from the supple, bending branches that could be arms. 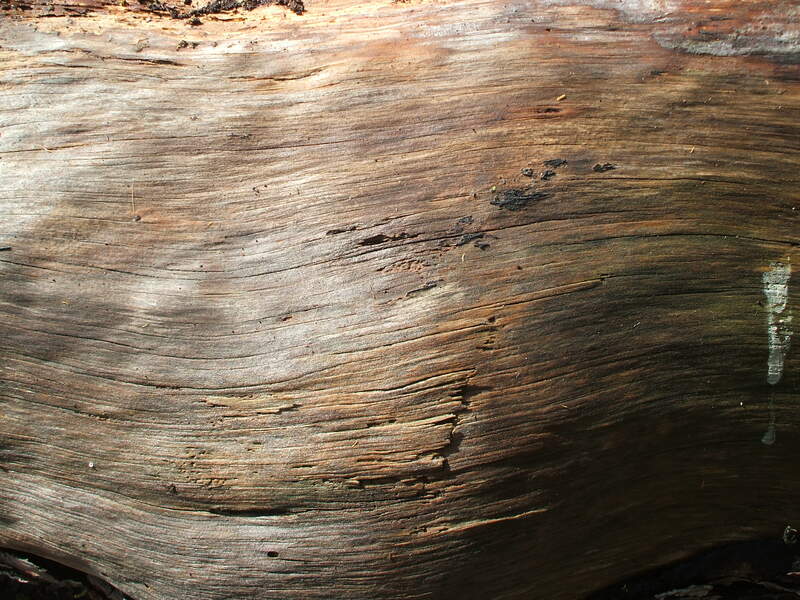 Each branch has multiple joints( tiny on this variety) which allow great flexibility and least resistance. 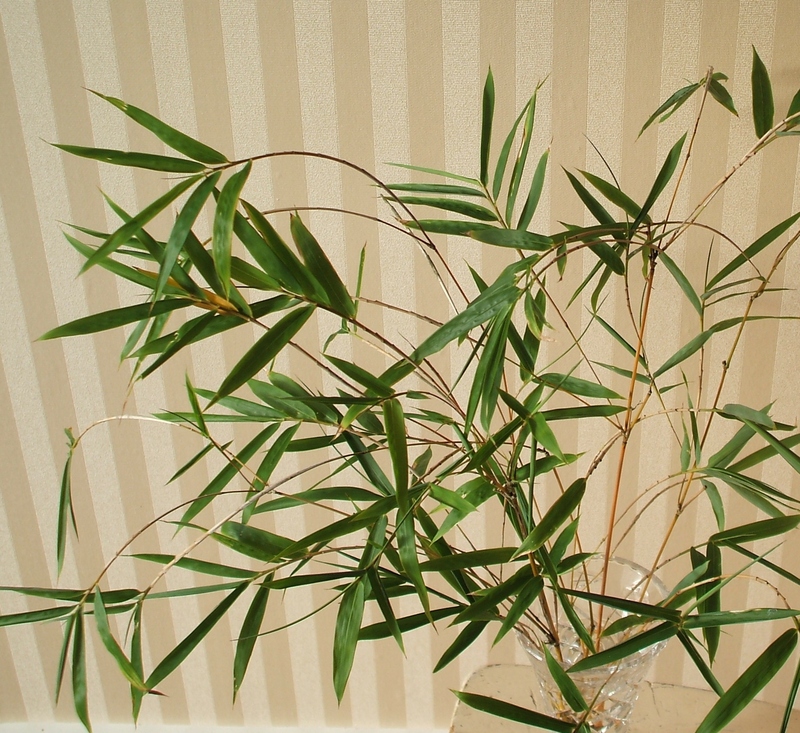 Bamboo suggested to me that it was strong and resilient through its bend, bow and balance. A Zen Master was walking through the forest with one of his students down a narrow trail, along a steep incline. The student lost his footing and slipped, just as he began falling down the hill the student reached out and grabbed a small bamboo tree. 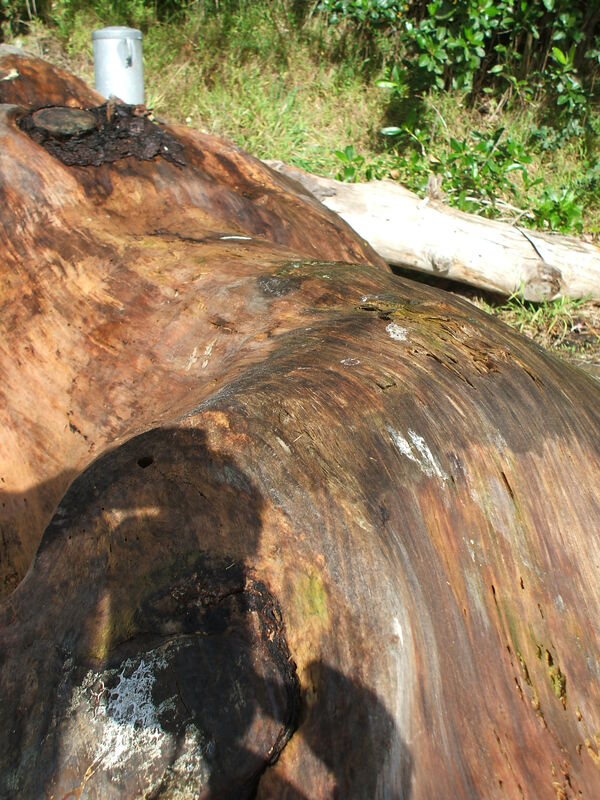 The bamboo bent nearly all the way over as the student continued to hold on tightly. He pulled himself up and brushed himself off with the Zen Masters help. “Did you notice that when you fell, you grabbed a hold of the bamboo and it bent nearly all the way over and still supported you.” The Zen Master asked. “Yes,” the student replied. The Zen Master gripped the bamboo and pulled the bamboo over. 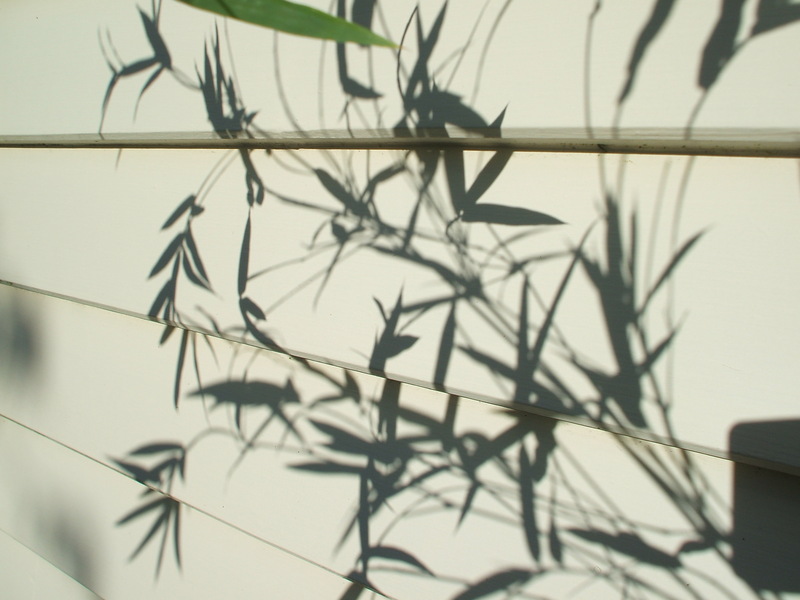 Bamboo is a Chinese symbol for longevity because of its durability, strength, flexibility and resilience. It survives in the harshest conditions, and seems to endure through all the brutalities mother nature can dish out – still standing tall, and staying green year-round. Its flexibility and adaptability are a lesson to us all that the secret of a long happy life is to go with the flow. Feng Shui practitioners recommend putting bamboo plants in the front of your home to assure long life for all those who dwell there. By using the contemplative practice of “noticing” and bringing more attention to this plant that is hidden in the garden I have been reminded that so much of what is around us in nature is also within us. 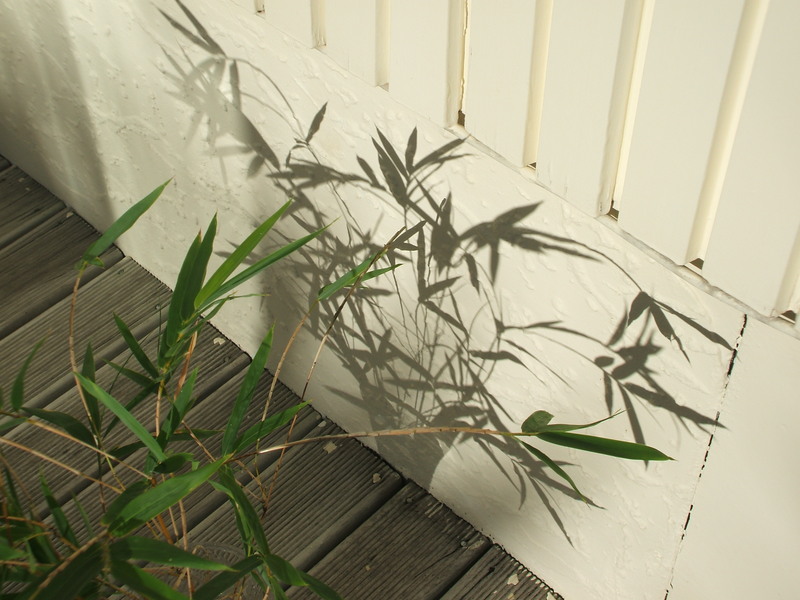 This entry was posted in Uncategorized and tagged bamboo, Chinese proverbs, Chinese symbols, clumping bamboo, contemplation, gardens, metaphor, nature, photography, plants, reflection, resilitence, Zen parable on May 14, 2013 by ordinarygood. Our tall, beautiful, self sown flowering cherry tree has just one last leaf on it. Despite being battered by many gale force winds this leaf is still on the tree as I type this post.  Do we cling on to something long after we should have let it go? 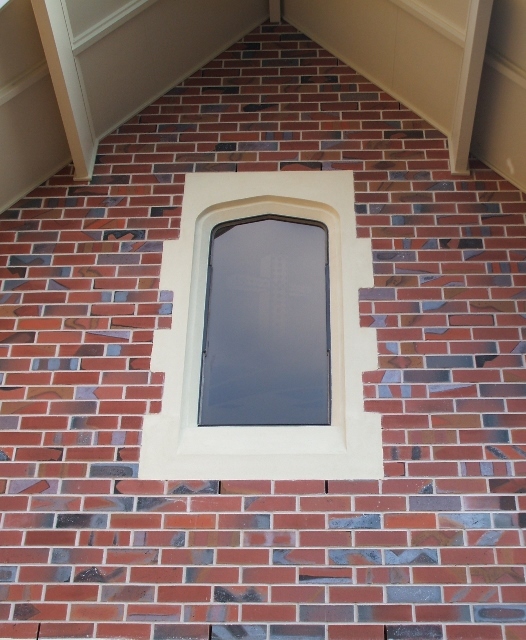  Do we hold on to beliefs or behaviours that no longer serve us?  Do we have utter determination in the face of great opposition and stand firm?  Do we like to have the final say, be the star of the finale?  Is life just puzzling and full of quirks?  Do we show great strength and grit in circumstances that are threatening and difficult?  Are we pioneers, forging new ways that have never been achieved before?  When conditions around us are inhospitable and life diminishing and we feel frail, drained, worn can we find inner strength, in reserves deep within us? What does this last leaf offer you as a metaphor? 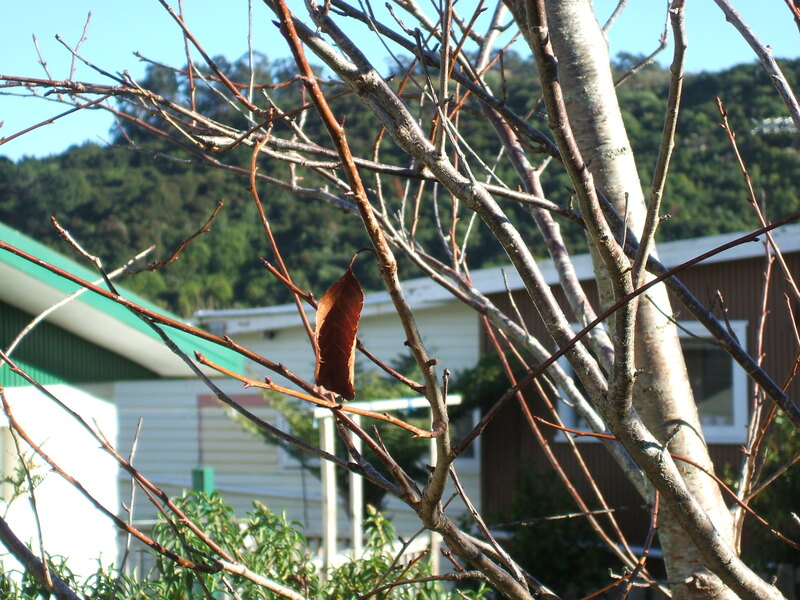 And another really amazing aspect contained in this photo is the evidence of next spring’s bubs, already formed, as the last leaf hangs, speaking of hope. This entry was posted in Uncategorized and tagged Autumn leaf, beautiful self, climate, flowering cherry tree, gale force, gales, garden, hope, inner strength, inspiration, last leaf, metaphor, nature, plants, spring buds, wisdom on July 3, 2012 by ordinarygood. I had hoped to post over the weekend but events caught up with me and I spent very little time at the computer. Here is a story that I found years ago and which struck me deeply and I thought I would share it with you today. As individuals we could be the voice that makes the difference…..
“Tell me, what does a snowflake weigh?” said the Crested Jay to the Pigeon. “Next to nothing,” was the reply. “In that case I have a wondrous story to tell you,” said the Crested Jay. “I was sitting on the branch of a fir tree one day, quite close to the trunk, when it began to snow. It didn’t fall violently, like in a wild storm, no, but rather as a dream, soundlessly and weightlessly. Since I had nothing better to do, I counted the snowflakes which came to rest on the twigs and needles of my branch. There were exactly 3,741,952 of them. When the three million seven hundred and forty one thousand, nine hundred and fifty third flake fell- as you say, a mere nothing- the branch broke.” And so saying, she flew off. This entry was posted in Uncategorized and tagged change, inspiration, Kurt Kauter, metaphor, New Fables, peace, personal development, story, wisdom on October 10, 2011 by ordinarygood. Daylight saving has just finished here and I am noticing people commenting with little enthusiasm that winter is coming. The clock going back is a sure signal that another seasonal change is drawing closer. I love gardening and all the many benefits being in the garden brings me. I have been thinking about winter and how down people feel about its approach and how we garden in the winter time. It seems to me that winter can be an excellent time to consider what in our lives or activities could lie fallow and resting during winter, in the same way the soil does during the long dark and often cold and wet days. What can we prune or trim that will, in time, mean a burst of new growth and harvest once the light begins to return? What might we prune or cut out completely from our lives? Are there things that do not serve us well that need “the chop” and will allow a space for something new to be planted, in time or when conditions improve or alter? How can we as gardeners rest and reflect when our gardens are too water-logged and unpleasant to be out in? What needs to be planted in the winter months that allows for something to take hold even in the dark, cold, miserable conditions? Gardeners are advised to plant large trees, shrubs and roses in the depths of winter to ensure time for settling before the burst that spring brings. How can we prepare for winter and the challenges it brings to us? 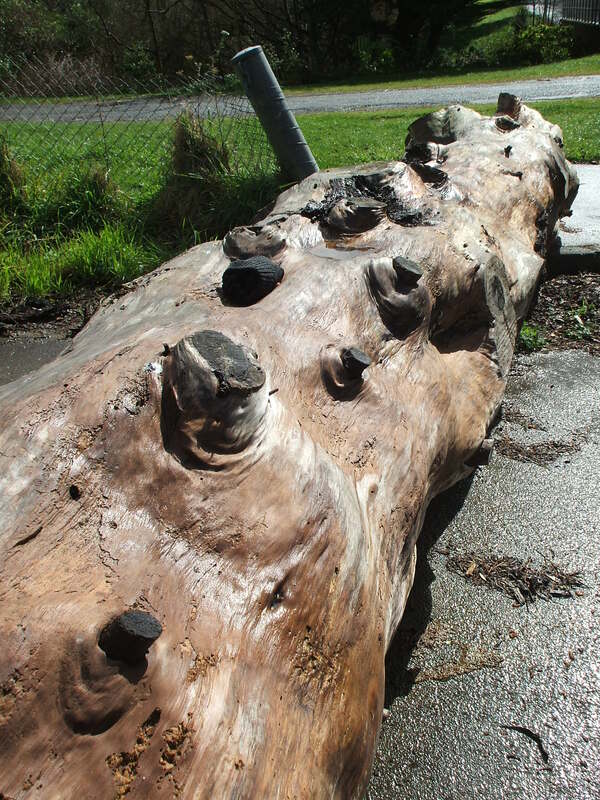 Do we need to feed some things, do we need to mulch for protection and potential? What reserves have we got to draw on through the bleaker months? And what might the benefits be for us, on some occasions in winter, to rug up, pull on gumboots and “get out and do something” in the garden? To draw forth our determination, our energy and creativity? How is winter time for you? This entry was posted in Uncategorized and tagged dark, gardening, light, metaphor, personal growth, self awareness, self development, Winter on April 4, 2011 by ordinarygood.